Last year not long after the election, we bought a faux birch tree with lights on it. We brought it home and put it on the wide window ledge in our kitchen/dining room and plugged it in and admired it. We never turned it off again. Day and night, winter and spring and summer and fall, we have been waking up to the lights on that tree and coming home to the lights on that tree and eating breakfast, lunch, and dinner by the lights on that tree. It has been in the background of innumerable photographs; right now our ginger cat is sitting under it with his paw in the water dish. Yet it has never become something we don’t notice. As night impinges on day in these dwindling weeks before the Solstice, the little tree reminds us that even in a sad and terrible world, in a devastating political and cultural season, glimmers of goodness exist and there are means to defy the despair evil wants us to feel. By the lights on the little tree, we will call our representatives, and make donations to religious and civic organizations doing good work, and wrap packages and write cards for people we love, and play games and read books and hold hands and pray with them, too. We will kiss, and we will cry, and we will rage and prepare to burn the whole thing down, and we will refill the cat’s water dish. Jesus told the disciples that no one but God knows when the hour and the day will come. In the meantime, I’m not sure what else any of us can do but stay awake and be ready for the moment when something we do or say can make a difference. As a local church pastor, I love to share resources with my church members designed to enhance their experience of Advent as a season of preparation as opposed to a season of shopping. I want to take on some kind of practice myself, but as a pastor and a parent, I’m often stretched to the limit getting both church and family Christmas ready. Paraclete Press has two beautiful possibilities for those of us who like to work with a book as a spiritual practice, and I am excited to share them with you. 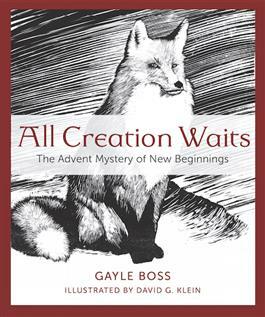 All Creation Waits: The Advent Mystery of New Beginnings, by Gayle Boss (and illustrated by David G. Klein), offers meditations on wild animals and the way they live into the increasing darkness as winter approaches. Boss places the animals (from meadow vole to firefly to cottontail to bear) in their habitats and describes their seeming states of mind as well as the way their bodies have evolved to survive the encroaching cold. Each two page meditation serves to take the reader out of the everyday scramble of human life and into the natural world, deeper and deeper into the shortening days. He should not be here. Not in the basement window well where he fell sometime in the night, sniffing out food. Not in Michigan, nor in any other state where winter temperatures sit below freezing many days in succession. We lift the opossum, held in the clasp of two rakes. When we open those gates and he quick-waddles into the woods, I bow to him, to the wonder of his survival. Klein’s woodcuts detail the world of each animal, yet leave room for imagination. While this is not a children’s book, it is a book for many ages, and one a family could read together. The paper, as is characteristic for Paraclete, is gorgeous, making this a book that feels good in the hand. We are all waiting for Jesus to arrive, for God to break in, and this beautiful book is a fine companion for the season. Now, if reading one more thing feels like too much, here is another option. 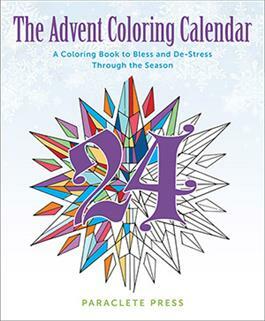 The Advent Coloring Calendar features coloring pages for the 24 days of Advent, each with a brief word of seasonally appropriate scripture, as well as images for Christmas Day and several more that incorporate familiar carol verses. The book is available for single purchase but also comes packaged with two different recordings: Keeping Christmas: Beloved Carols and the Christmas Story (which includes scripture readings and features a traditional choir with organ) or The Coming of Christ: Gregorian Chant (less my cup of tea, but helpful for being less likely to cause me to get lost in singing along). If you are a longtime devotee of Praying in Color, you’ll appreciate the quote from Sybil Macbeth, reminding us that coloring causes the “mind and the body to slow down.” Or maybe you are new to the idea of adult coloring books, which you will find for sale this year everywhere from Barnes & Noble to Urban Outfitters. While I always encouraged my children to color outside the lines, I find coloring inside them to be pleasing, relaxing, even comforting. Think of coloring as a mini-Advent retreat in a season when we are far too likely to be goal-oriented, whether it’s finding that iWatch or writing that sermon. I received copies of both books and both CDs from Paraclete Press in exchange for an honest review. Reader Two: Our hope is in God, who will bring all nations together. 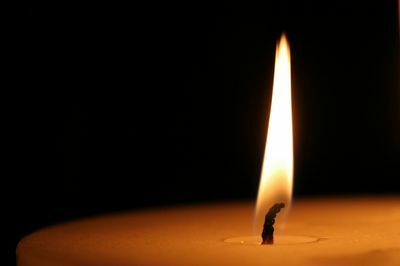 Reader One: As we wait faithfully for God’s time, we light the candle of Hope. Reader Two: Come, let us walk in the light of the LORD! Reader Two: Our peace comes from God, who became one of us in Jesus. 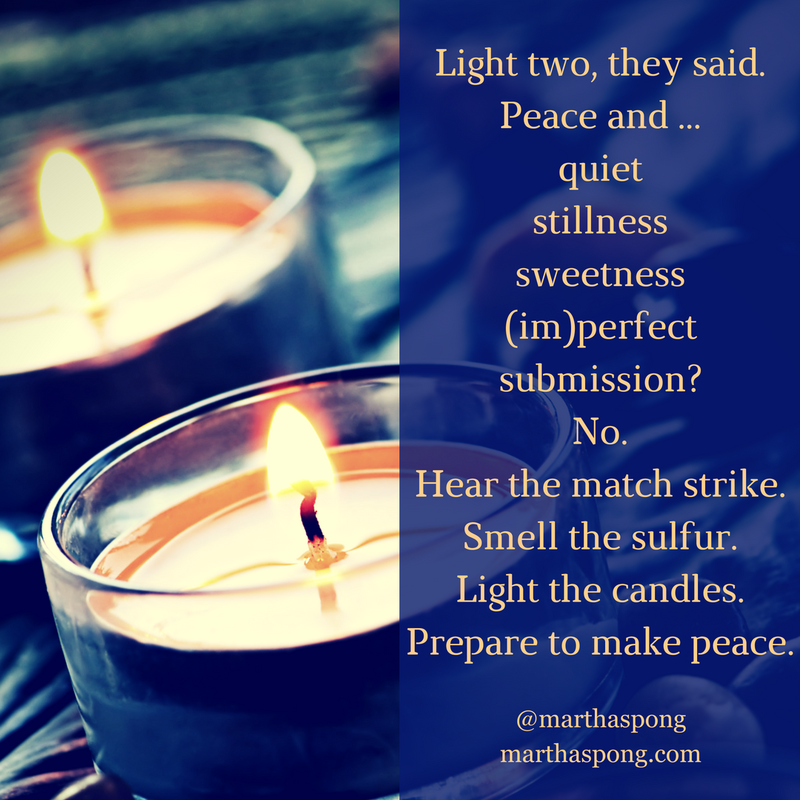 Reader One: As we wait faithfully for God’s time, we light the candles of Hope and Peace. Reader Two: In God’s time of joy, all sorrow and sighing will leave us. Reader One: As we wait faithfully for God’s time, we light the candles of Hope, Peace, and Joy. Reader Two: In God’s time of love, we will learn to choose what is good. Reader One: As we wait faithfully for God’s time, we light the candles of Hope, Peace, Joy, and Love. Reader One: Tonight we stand on the brink of God’s time. Faithfully, we light the candles of Hope, Peace, Joy and Love. Reader Two: Tonight we enter God’s time. Faithfully, we light the Christ Candle, to celebrate the birth of our Savior, Jesus, the Light coming into the world. All: Come, let us walk with the Light of the LORD! Even though I moved from Maine to Pennsylvania for the very good reason of joy and love, and even though my mostly grown-up children were happy for me, this life-changing adjustment came with some mixed feelings. In a way, I went into exile, which may sound weird to you if this is the place that has always been home. My kids, you see, all grew up in Maine. One arrived there as a toddler; the other two were born in Portland. Their first visits here had a tentative quality. My oldest teared up when he saw the Lobster license plates on a shelf instead of on the back of my car. I remember saying to Kathryn that I would understand it if they didn’t come here for Christmas, and when the middle child told me he had figured out how they could all get to my new house on December 23rd, I was beside myself. I made elaborate plans for the menu and the things we would all do together. But I remained afraid that it would feel entirely different, and they would never want to come again. What could I offer them here? I didn’t even have the right kind of dog anymore. Home didn’t look right, it didn’t feel right, it didn’t smell right. The people who came together in chapter 3 of Ezra came from two different parts of a divided community. The Babylonian Captivity came to an end when King Cyrus of Persia conquered Babylon and scripture tells us God stirred up his heart to send the people of Judah home, and not only that, to rebuild the House of the Lord previously flattened by the Babylonians. Some of the people who gathered for the laying of the foundation represented the great deportations to Babylon. There were three of them over 20 years or so, the last one around the time of a great siege and the destruction of Solomon’s Temple. Those exiles to Babylon were the upper-class families, the educated, the religiously powerful, the gifted among the artists and scholars. The other group of people are those who had stayed behind; as I mentioned last week, they were folks of a lower social class, people who were not as impressive or important, people less useful to the culture and economy of Babylon. These people stayed behind in Jerusalem they lived through two sieges. They lived in occupation, and they lived in the grief of having no religious gathering place. There may have been a few very old people among them who remembered Solomon’s temple, but as Ezra’s story begins, 65 or 70 years had gone by since the Babylonian forces destroyed it, and more like 90 since the first exiles left Jerusalem, so the chances are slim there were a lot of people who had first-hand memories of the old Temple. And I would imagine there was some resentment or suspicion of the more socially prominent people whose families had spent at least 65 years in Babylon, and who returned carrying gold and silver and 100 priestly robes, already dressed for success to make new lives in Jerusalem. All we know about the people who wept is that they were older, and they were from the priestly families. Whether they were descended from the remnant left behind to serve or those who left and came back again, the story does not tell us. But it’s a classic human story, isn’t it? First the people let the Temple go to rack and ruin under wicked kings, and then Josiah refurbished it, and when they were threatened by enemies they came to care about it, and when it was gone they grieved for it as if it had always been held in the highest esteem. 65 years is a little longer than this church has been around. I’ve heard some stories from people who grew up here about what it was like when they were young, where they sat, and who was kind to them. Don went to Sunday school in the train room. Jane remembers folding chairs in the sanctuary. Maybe some of you remember when the additions were built and old spaces were put to new use in the life of the church. These stories are within the lifetime of people still among us, but go back another decade to the group that met in the Fire Hall, and the people who know the stories are mostly gone. That’s just a few years less than the length of time that passed from the year the temple was destroyed until they began to lay the foundation for the new one. Many shouted for joy, so loudly the sound traveled far away, while others wept, just as loudly. In the midst of the emotion of the day they represented a longing for the way things used to be, a nostalgia for the past, and a wistfulness for missed opportunities. Why is this a story for Advent? We can make the connection to joy, which is our word for the day. The people are on the whole joyful about beginning to rebuild the temple. The very beginning of Ezra is also the very end of Second Chronicles, which some people call the Fox News of the Old Testament: a bit sensational in its storytelling. If you were to look at the Bible in the order that the Jewish people put it together, you would find Second Chronicles not nestled here right before Ezra but at the very end of the book. It holds the promise that the people have returned to the land where they were meant to live. They have returned to the place where they believe they have the best chance of finding God again. But we don’t just get the happy ending of Second Chronicles here. it’s a little more complicated than that. When they laid the foundation for the new Temple, to some of the people, it just felt like a building, nothing special. The Ark of the Covenant had gone missing. (In the universe of Indiana Jones, it’s carefully lost in a giant warehouse.) More seriously, how do you reconstruct a space known as the Holy of Holies, the mystical core of the Temple where the most revered and respected priests came as close as any human beings could to the presence of God? Can you build a Temple of dreams and simply hope that God will come? At the same time many shouted for joy, so loudly the sound traveled far away, others wept, just as loudly. The New Temple just didn’t feel like the Old One. It didn’t look right, it didn’t feel right, it didn’t smell right. Or maybe I’m confusing it with any other new space human beings come to inhabit. That first Christmas my kids spent here in Pennsylvania had its tense moments. We had to get used to cooking in a different kitchen. We deliberately added new items to the Christmas dinner menu so that it wouldn’t be too much like the things we had always done in Maine. 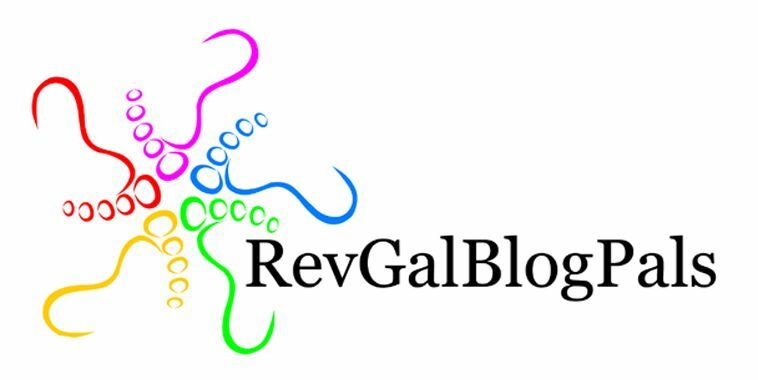 We worshipped in a church where we had never all been together before, and the weirdest thing of all for them may have been that their mom was not the pastor. I watched them learn to make Swedish meatballs, a dish that reminded us of their Swedish grandmother, but one we had never made together before. I watched them master cranberry balsamic glazed brussels sprouts and whiskey-glazed carrots like the Pioneer Woman cooks. I watched them snuggle up with the step-dogs they were just coming to know and love. By the time they came for a second Christmas last year, Kathryn and I had moved to the manse behind Mechanicsburg Presbyterian Church, a house that had been a rental for many years. When we first got there, it didn’t look right, it didn’t feel right, and believe me, it didn’t smell right. Again I wondered how it would go, and again they all arrived to make Christmas with us. We found our way around another kitchen, repeating some new favorite recipes and adding back some others. I taught them a two-handed solitaire I knew in childhood, and soon we were playing it six-handed with the little kid who is now a brother to them, showing him no mercy and teaching him their – well, my – fierce will to win. The Second Temple was never the same as the First Temple. It never came to feel right. People were waiting for what they used to have, but the Holy of Holies remained empty. God never did return to dwell among them in that same form. God came to them in the person of Jesus Christ. And maybe that’s what makes this a good Advent story. The people wanted a Temple, and they shouted for joy to see it being built again, but they wept because they knew something was missing. They needed something more. Like us, they lived in a world full of hard experiences, and like us they had a long wait for the next coming of God-with-us. Joy may be the hardest of the Advent words to live into in times of struggle. But think of those people going to the Temple with joy and proclaiming God’s never-ending love. Think of them proclaiming it even though that Temple was just not right. Joy is not a sugar-coated happiness like Christmas cookies. It’s not the “ooh” and “aah” we hear when we open presents and find a new iPhone. It’s not the superficial display of a dramatically choreographed light show. Joy is a claim we make, a truth we declare: no matter how our lives change, no matter what we lose or gain, no matter what we build or see slipping away, we rejoice because God’s steadfast love endures forever. Wednesday night I came over here from Mechanicsburg to pick up a few things I needed to get ready for the Sunday School class this morning. I’d been vaguely monitoring the shooting in California all afternoon, but hadn’t heard a full report. It was business news on NPR, so I switched to AM and hit the button over and over until a station came in clearly. An anchor and reporters were giving play-by-play, in essence, of the search through a neighborhood for a suspect. The anchor referred to images on the screen, so I deduced that I was listening to a radio stream of cable TV news, Fox as it turned out. Lots of assumptions were being made, as is typical in the early hours of a breaking news story, and communications were dropped and picked up again, and a second anchor came on and the two disputed each other’s interpretations, and finally a reporter on the ground said a word or two, but his mic went dead, and they broke for a commercial. The strains of cheery holiday background music filled the car as a man’s voice exhorted me to buy a Sig Sauer pistol for Christmas. Surely someone in my family needs a new weapon! I turned off the radio, convinced of the total depravity of humanity. This is America in 2015, a place where we let the unthinkable go by day in and day out. This time three years ago I was trying to help a congregation make sense of the shooting in a Newtown, Connecticut, elementary school. We had a high proportion of both active and retired teachers, and they were distraught and despairing. One after another they came to me and told me how they treasured their students, how there was no worse nightmare for a teacher than being unable to protect the children in his or her charge. It was not the one. Over the past month we’ve read stories about the many ways the people of Israel and Judah ignored their relationship with God, not only by worshiping false idols but by treating one another with violent disregard, shedding the blood of the innocents.The Northern Kingdom fell to the Assyrians. The Southern Kingdom, after a brief attempt at getting its act together under Josiah, lost its power to the forces from Babylon, and over time two great deportations took place. God let the terrible inevitable happen. Take comfort, people of Israel. You broke your relationship with God, but you have served your time and paid your debt. You are going home. God is going to straighten things out, and the images are of leveling – valleys lifted up and mountains and hills made low and uneven ground smoothed out and rough places made plain. People come and go, but God is eternal and will get you home again, like a shepherd leading his flock. God promised an easy path on the journey to restoration of their community. It’s a promise of peace, peace of mind and peace of heart. We are living our own terrible inevitable. As the afternoon went on, my children talked more and more about what their day was like. My daughter was in Chinese enrichment class and her class was goofing around as in a drill until her regular teacher returned as quickly as she could. And said the words: This is not a drill. They read books and ate lunch under their desks. The kids who brought lunch were ready to share with the kids who get cafeteria lunch and they were holding some back in case they needed it for dinner. She said it was hard to remember that the day had started normally with Math quizzes and early English class. It was hard to remember that the day had started normally with a staff meeting and angry emails from part time staff member. It was hard to remember that the day had started normally. And I fear that because the suspect is who he is, our culture of violence won’t be blamed, but his religion will be. Not only was this my city, but he was a student at the school where I taught when I taught there many years ago. I opened a yearbook and found his class picture and his picture in the Friday Night Live club. This is not what we want for our kids, to imagine them hidden under their desks, waiting to be sure it is safe to come out again. And we need to acknowledge that the world has felt like this before. Jesus began his ministry in a community occupied by violent forces, at a time when people didn’t know who to trust or what to believe. The first sign that something might change was a man in the wilderness, offering baptism for repentance and the forgiveness of sins. John reminded the people of images 600 years old, of a valley lifted up and hills brought low, of a great flat spirit land that allows everyone to see God’s glory clearly. The voice crying, whether Isaiah or John – that voice is not crying out to God. That voice is crying out to us. Prepare for God to come. Get ready to follow God’s way. Get ready for a new viewpoint on what it all means. For God’s sake, get ready. Schoolchildren are ready. Alongside their fire drills, they have lockdown drills. We don’t want to think of our children, knowing exactly what to do, huddled under their desks. It isn’t what we want for them. But there is something in my friend’s story that we do want, very much, and I believe it’s something God wants, too: the children who had food broke bread with those who had none; then they kept something back for later, so that everyone would have enough. Maybe that’s our promise of peace in the midst of the terrible inevitable, a picture of a world where the valleys are exalted and the lunch is shared and the glory of the Lord will be revealed for all to see. In the name of the One who is coming, Jesus Christ. Amen. At a time when all seems bleak, where do we find hope? Yesterday we started a re-watch of the Star Wars movies, with the real *first* movie, Episode IV, A New Hope. It’s been almost 40 years since I first saw it, since I watched the iconic credits roll and heard the soon-to-become famous lines spoken by the actors who will always be associated with their characters. The people who lived a long time ago in a galaxy far, far away were in trouble, and they pinned their hopes on a young man who had only just learned about The Force, Luke Skywalker. I suspect his story is better-known to most of us than that of the central character in our readings today, although his tale could make its own interesting chapter in an epic movie series. Josiah came from a long line of mostly wicked kings who ruled in the Southern Kingdom of Judah. Josiah’s grandfather Manasseh was the Emperor Palpatine of Judah; he reigned 55 years and “did evil in the sight of the Lord,” shedding much innocent blood. Josiah’s father, Darth Amon, was so terrible that his own servants killed him and put an 8-year-old child on the throne in his place. Somehow, despite the evil of their leaders, there were still people who wanted to follow God, who wanted something better. Despite all evidence to the contrary, they thought there was a possibility of change. They looked at the child, Josiah, and somehow they saw a new hope. In a world of confusion where do we find answers? In the trailer for the new Star Wars movie, which was all over TV this weekend, you hear the presumed heroine say, “There were stories about what happened.” After a moment’s pause, a voice responds. “It’s true. All of it.” Of course we feel relieved to hear the familiar voice of our old friend, Han Solo, and to see his face, offering her these assurances. Why, it’s only been thirty years, if I’m reading the ads the right way! Are you telling me people don’t know what happened? Yes. Yes. Somehow the story has been lost, but it is not lost beyond all hope. Surely if they remember the story, things will get better, right? He was unusually faithful, and his supporters must have been, too, or it’s hard to imagine he would have survived to adulthood. We meet him eighteen years later, when he decides it’s time to rebuild the Temple. His grandfather let it fall into disrepair; this was one more thing to set right. Josiah sent his secretary to visit with the High Priest, to give him all the money that will be needed to repair the damage and rebuild what cannot be fixed, and the High Priest, a kind of Obi-Wan, tells him that he has found the Book of the Law in the house of the Lord. Now, it sounds strange to us that the book of the Law might have been missing, and it’s not clear whether it was actually lost, or whether the high priest has been keeping it safe until a trustworthy king came along again. But whether by strategy or accident, the book of the law has been lost. There were stories, but were they true? It’s easy to forget in our age of information that stories were lost, and that history was written by the winners, that treasured documents might be hidden away carefully and not seen again by human eye. Josiah hears the words of the Book of the Law. Josiah had been on the throne for 18 years. It took that long for the high priest to risk it. We believe that scroll held the core of the book of Deuteronomy, the laws carried from the wilderness into Jerusalem and kept in the Temple. The laws warn at length against idol worship and pagan practices, set up dietary restrictions, establish the practice of tithing and marking the Passover, give justice into the hands of priests and judges and set limits on the power of kings, and institutes some measure of fairness in dealings with family members, neighbors and enemies, as well as some measure of brutality that we would consider primitive today. The results were dramatic. Josiah tore his clothes, a sign of repentance. He realized that although he was a good person, with the best intentions for his kingdom, he was completely ignorant of God’s commands. This discovery could change everything! Josiah called together his advisors and sent them to a prophetess for confirmation. Then Josiah brought together all the elders in his kingdom and went to the Temple, and he read them the words of the book of the law, and together they affirmed their covenant with the Lord. Josiah would depose all the idol-worshiping priests and bring about the first real celebration of the Passover since before the first king ruled in Israel. He hoped this would make things right. This is where I would like to say “The End” and bring down the curtain on a scene of the refurbished Temple. (Sort of like the party with the Ewoks.) But Josiah died in battle, and his son, Darth Jehoahaz? Did evil in the sight of the Lord. Things got darker for the people of Judah, until a few kings later, they lost their struggle against Babylon. The Hebrew elite traveled to exile, while the less interesting and valuable stayed behind to live in occupied Jerusalem and witness the dark day when the Temple was destroyed. In a world of darkness where do we find light? See what I mean about a movie? Josiah seems like a perfect hero, but instead of overcoming evil forever, he dies a mortal death. Sometimes one good guy – or gal, it looks like it’s a gal in the new Star Wars movie – but sometimes one good guy isn’t enough. Well, really, one good guy is never enough unless that guy is more than human. We have a tendency to put our hope in each other, to make heroes out of mortals, and to engage in our own desperate and wrongheaded idol worship. Whether they are megachurch pastors, popular speakers, athletic prodigies, billionaire businesspeople or winning politicians, our society often puts its faith in whatever looks shiniest at the moment. Everything is a popularity contest, with polls and surveys and statistics used to determine agendas, styles and flavors. It’s a vicious circle. The Hebrew people had their own vicious circle. They didn’t like the results they got with God, so they worshipped other gods. If there was no rain, they worshipped Ba’al. If one sacrifice didn’t work, they made a bigger one. They made their situation worse with each terrible decision. I’ve stood here a lot of times in the past year and said words to the effect that things can’t get much worse, but I imagine they can. Our general disregard for one another, our obsession with weapons, our prejudice against people who look different or think differently continue to collide until we cannot listen to the stories anymore. The stories get lost, because there are so many of them. We see these cycles play out again and again. Josiah ruled for thirty-one years out of 347 years of kings of Judah. Eight were good, and he was the last of them. He could disrupt the cycle, but he couldn’t end it. The people of Israel and Judah fell out of relationship with God; no one person could fix it. And there is no one person, male or female, who can get us out of this mess in which we seem bent on breaking every kind of code God has set down for us, for treating our families, our neighbors and even our enemies. There is no one human person who can do it. And every Advent we hope – WE HOPE – that the cycle will be disrupted. We practice anticipation. We wait for the One who is coming, God breaking into the world, the Word of God, coming into the world to save us from isolation and despair, to show us how to love each other the way he loves us. And that sounds good, but it is not enough. Those words, the ones meant to guide us, are already written down. We are not waiting for a new story this Advent; we are being prodded to behave as if we have already heard the old one, to put down our weapons and outgrow our fears and remember the stories and gather together as one people, God’s people. The Living Word, Jesus Christ, is our Book of Hope. It’s time to renew our covenant with him. In the name of the One God coming into the world, Creator, Christ and Holy Spirit. Amen.